Gain a thorough understanding of the General to Specific Process - Discover, perhaps for the first time, how to turn your vision into a reality, while having fun and truly enjoying the process. Take charge! - Find out how, through a mastery of the painting method, you can be firmly in the driver’s seat throughout the process. This includes all materials and palette, as well as paint application, color, value, and temperature. 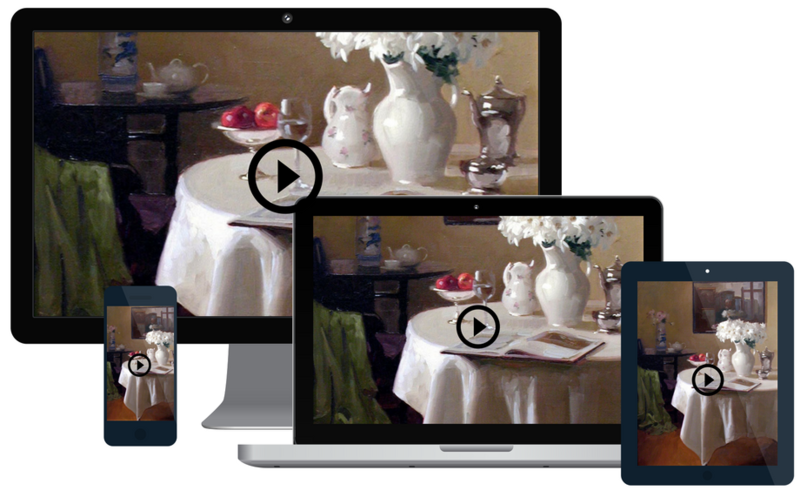 Feedback - Get real time feedback from Master Painter Dennis Perrin on your efforts, refining and evolving into the painter you know you can be. Who is Dennis Perrin and what does he have to offer? 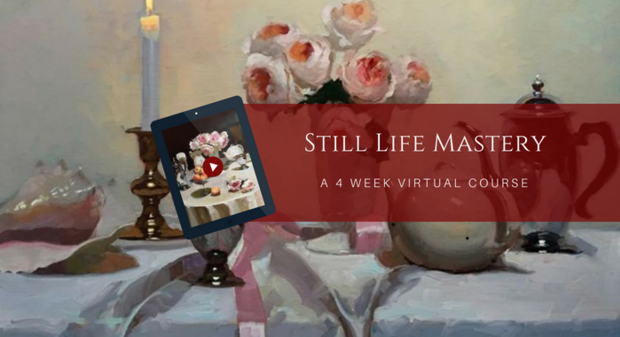 Learn the History and Lineage behind the Still Life and its allure in Art History. Learn how to create beautiful, bold, stunning paintings while enjoying the process from conception to completion. Discover the satisfaction of Simplification, being in joyful control of your paintings from start to finish. Benefit from the tutelage of a Master painter anywhere, anytime, and in the comfort of your own studio. Reach back into the history of Art and bring forward the secrets of the Masters. Gain a new understanding of the power of the palette and how to get the most from this very important instrument. Have the opportunity to get beneficial feedback from a Master teacher and painter. Enjoy the benefits of the course well beyond the dates of the course. Find out what the most important tool of all is for the artist. The answer will surprise you. "Dennis, as a painter who is passionate about flowers, I've admired the elegance and lusciousness of your wonderful paintings from the moment I first came across them online. Now after interacting with you through this program, I see that the beauty in the paintings comes from the beauty and generosity of your soul. I've appreciated the care with which you created and presented this program. You provided no-nonsense, clear direction you give on the technical aspects of painting, with gentle encouragement, balanced with an emphasis on the inner work (our intention/passion/joy) reminding us that that is even more important in creating a piece of art than simply the techniques. Thanks so much for sharing the wisdom you've accumulated over years of painting, learning and teaching. It was an excellent program and one that I am very glad I said yes to. Thanks to Camille, for providing the technical support to make this available to us no matter where or when we could participate." – S. J.